Quenching is rapid cooling in quenching medium such as water, oil or other inorganic salt, organic water solution, etc. The steel hardened but became brittle at the same time. 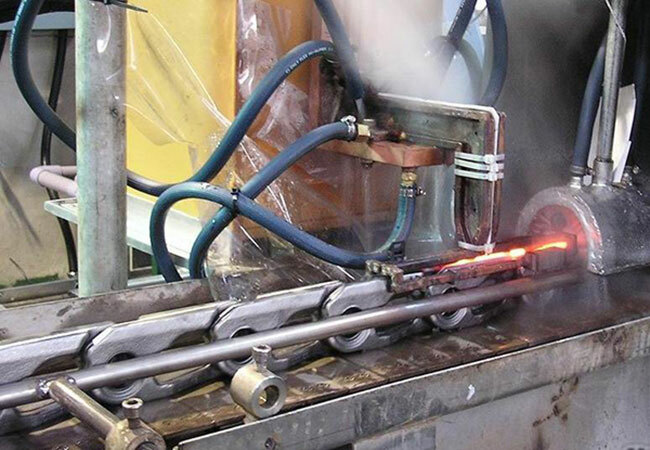 Quenching purpose is to improve the mechanical properties of metals or parts and improve the performance or chemistry of certain special steel. 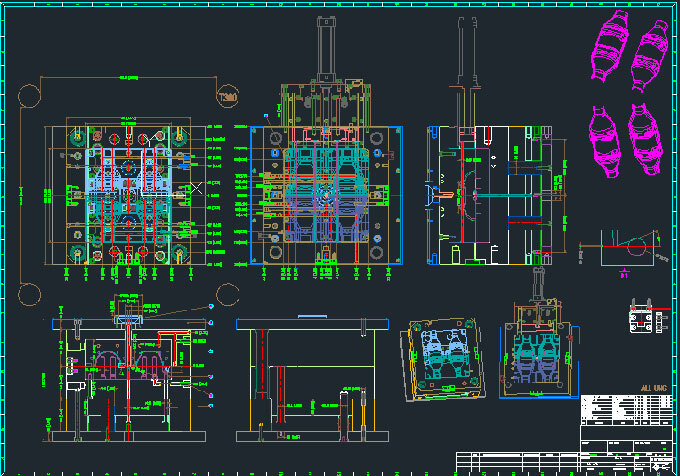 However, some problems may be encountered when the injection moulding quenching is carried out in the injection mould factory. For injection moulding with heavy impact load, such as stamping die, quenching overheating should be avoided. If the heating temperature of quenching is too high, the grain will grow up, leading to the decrease of material impact toughness, the time of crack initiation will be shortened and the expansion rate will be accelerated. For hot working dies such as die-casting moulds and plastic moulds, the heating temperature of quenching should be appropriately increased. If the quenching temperature is too low, the strength and thermal stability of injection mould parts at high temperature will be poor, and plastic deformation and thermal fatigue cracking are easy to occur during injection moulding. If the heat treatment decarbonizing or carbonizing parts are not protected during quenching, it is easy to cause oxidize decarbonizing or carburizing of surface layer materials. If the oxide decarbonizing layer on the steel surface is not removed in subsequent processing, the wear resistance of different parts will be seriously reduced. If the surface is carbon added, it is easy to produce fracture failures such as blade breakage for cold working injection moulds and thermal fatigue failure for hot working injection moulds. Stress concentration and crack injection moulding tool parts, if stress concentration and crack occur during quenching, will be easy to produce a variety of fracture traces and damage traces when used. Various fatigue cracks are easy to occur at the stress concentration site, which affects the service life of most quenching parts. 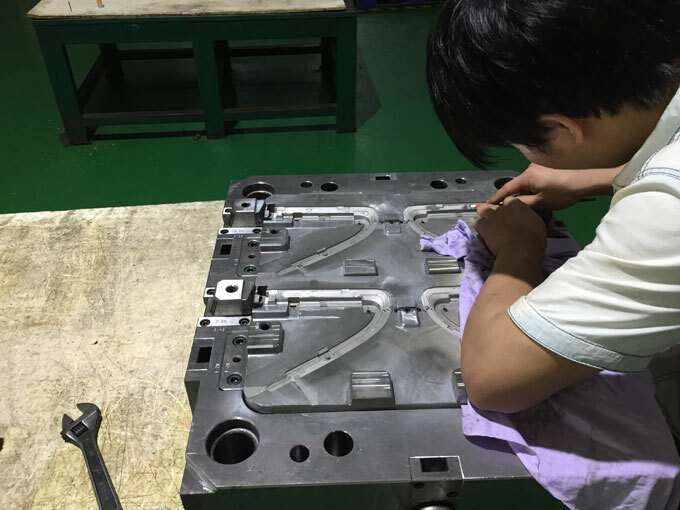 After quenching, if the tempering temperature is not enough, the injection mould parts will retain a large amount of stress during quenching, and the toughness of the material surface will be decreased, so it is easy to break when working. 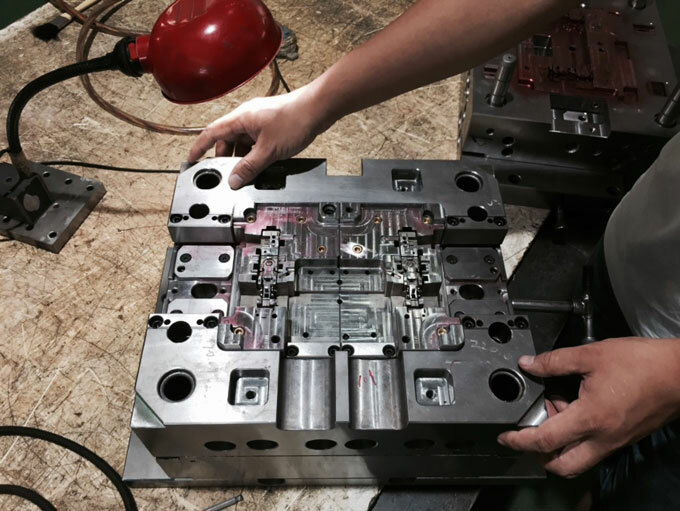 Under normal conditions, tempering temperature of hot working die should be higher than the work temperature, in order to avoid injection mould parts surface material temper change and organizational stress at work, reduce the normal service life of the injection mould. If the tempering is excessive, it will reduce the strength and hardness of the injection mould parts, make the injection mould parts easy to produce all kinds of plastic deformation when working, and its wear speed will be greatly accelerated.